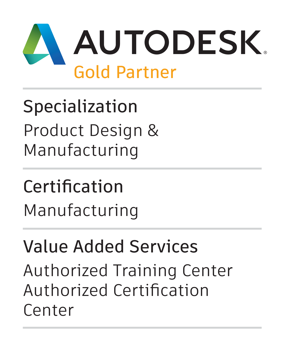 ​MESA utilizes Autodesk© certified courseware in the instruction of the classes below. Every class, along with our full catalog of classes, can be scheduled on demand at your own facility or at MESA. If you don't see a class that fits your needs, we can customize a training class specifically for your company. Call us at 888.301.6372 to discuss your options for scheduling or customizing a class. Sometimes some advanced knowledge is all you need to get the competitive edge. That's why we're offering you this special on two of our advanced classes: Inventor Advanced Part Modeling & Inventor Advanced Assembly Modeling. we'll give you 25% off the total! ​As always, our training programs come with a money-back guarantee. Classes at our Crafton office start at 8:30a and end around 4:30p. see if your company qualifies for wednetpa funding! Want to Enroll? Have questions? Feel free to contact us below. Autodesk is not responsible for the quality of the training offered by MESA Inc. or for any actions of MESA Inc.